Tim Davis is a member of the Litigation Section. He represents a diverse group of clients in healthcare, employment, and commercial cases. As well, Mr. Davis devotes a portion of his practice to the representation of churches and religious non-profits. 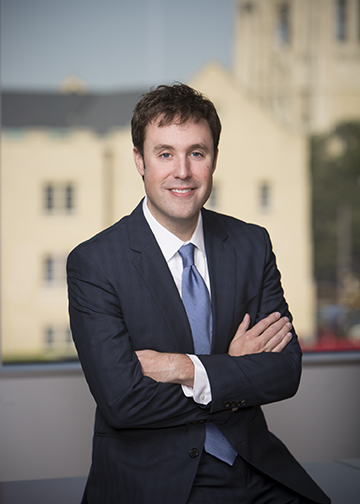 In law school, Tim won both of his school’s oral advocacy competitions as a first year law student and went on to be an editor of the law review. Tim and wife, Lindsay, live in Southlake and attend the Hills Church. Tim is licensed in Texas, Kentucky, and Ohio. First-chair trial and appellate attorney for a global hotel company in an employment discrimination case where a terminated employee (represented by a government agency) alleged her termination was because of her pregnancy. After a decision in favor of the hotel, the employee appealed the decision and it was upheld on appeal, the employee taking nothing. First-chair counsel to a CEO and shareholder of a closely-held firm in severance negotiations that resulted in litigation. Because of the shareholder’s positions in litigation, a settlement resulted wherein the company agreed to all of the shareholder’s demands and paid the shareholder’s attorney’s fees in full. First-chair counsel to members of a limited liability company in fraud claims against a third member. Obtained a settlement on all of the clients’ claims that compensated them for their losses and paid their attorney’s fees in full. First-chair counsel to a lender in an action to pierce the corporate veil and collect on a promissory note. Obtained a favorable settlement that recovered the lender’s funds with interest. Secured several dismissals on behalf of health care providers in health care liability claims. Pre-litigation representation of a medical practice facing several claims of sexual harassment caused by an employee’s behavior. Negotiated each claim to result in settlements favorable to the medical practice that avoided litigation entirely.